Welcome to Hunting Club Lease. 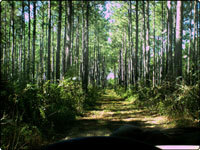 I lease top of the line hunting properties in South Georgia and North Florida for you. I personally scout all my properties before I lease. I manage and maintain all properties to the highest degree of game management. 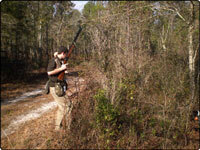 I work with Game Biologist & foresters to ensure you the best hunting experience possible. I pride myself in having the best hunting properties in this area and work 7 days a week to maintain a high degree of services. I offer deer, hog, turkey, quail, duck, & dove hunting. If you are looking for a place for your family, friends, employees, Business Associates, or just yourself to hunt you have come to the right place. I will find you just the right property for you and yours to privately hunt on. This will be your own private Hunting Club. I have properties for hunting and recreation. Some properties have hunting cabins, electrical & water hookups for camping, lakes, ponds, & rivers for fishing. Click on the link "JOIN MAILING LIST" and submit your contact info. That way I can keep you updated when I have a new piece of property that you may be interested in. If you own Hunting Property that you would like to lease CLICK HERE One of the largest problems that landowners have is keeping a good group of hunters to lease their property. I solve that problem by keeping a large database of professional and ethical hunters to hunt your property. This allows me to always be able to renew the landowners lease each year keeping the landowner from having to constantly be looking for a new group of hunters each year and taking the chance of leasing their property to unethical and irresponsible hunters. 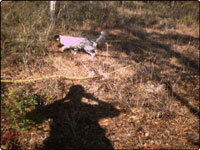 I manage the Hunting Club members on the landowners property and stay in close contact with the owner. This way all a landowner has to do is pick up their check each year. I can provide references. If you have any questions not answered by my web page please contact me at the contact options below. I always enjoy talking with people who have an appreciation of the great outdoors.